Third edition of the RORC Transatlantic Race starts amid light south-westerly winds. The 2865 mile long ocean regatta crosses the Atlantic Ocean from Lanzarote (Canary Islands) to Grenada (Caribbean Sea). The race record to beat for a multihull was set by Phaedo3 just last year in a time of 5 days, 22 hours, 46 minutes and 3 seconds. The RORC Transatlantic Race started at 13.00 Italian time (12.00 local time in Lanzarote, Canary Islands). A fleet of 14 craft lined out, including Maserati Multi70 manned by skipper Giovanni Soldini and his team who were extremely eager to embark on this first ocean challenge. As yet there is no definite picture of weather situation, however, partly because the American and European prediction models are at odds and evolving rapidly. «The transatlantic crossing we’re facing into is strange: we came here to compete in a Caribbean race – and that means high pressure areas, Trade Winds, steady winds. But the actual weather situation is completely different to that», commented Giovanni Soldini as he sailed out of Marina Lanzarote. «There are various tropical depressions with fronts very far south». Maserati Multi70, her closest rival Phaedo3 and the rest of the fleet started the RORC Transatlantic Race in an 8-knot SW crosswind. 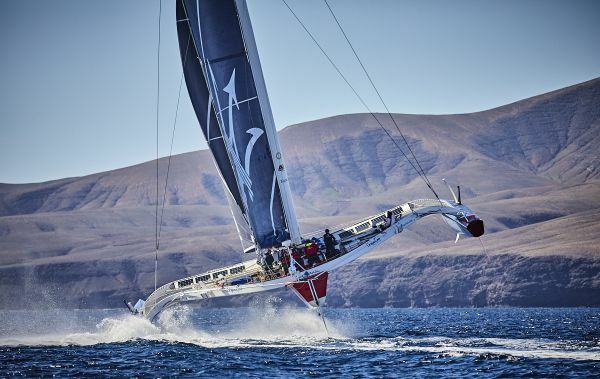 Once they have made their way down the channel to the south of Lanzarote, however, they’ll be sailing upwind and the wind is expected to freshen towards evening. «We can’t wait to fly on the ocean», concluded Giovanni Soldini. 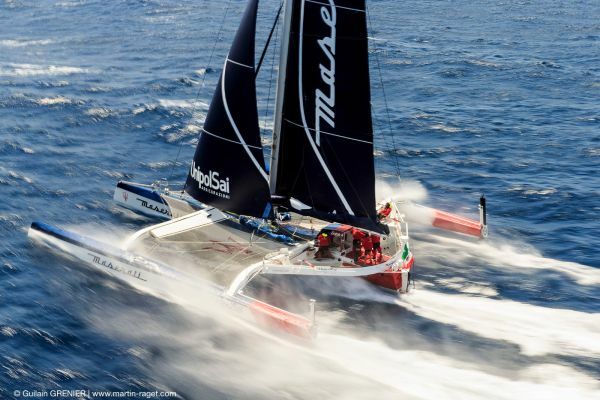 «We are delighted to be in this race because it’s a big step for us: after three months of research and development, it is the first time we’ll be getting to sail on the ocean in our flying trim – on one side at least. We’re hoping that pitting ourselves against this ocean will teach us a lot and help us make progress». The RORC Transatlantic Race, now on its third outing, is competed over a 2,865-nautical mile route from Lanzarote (Canary Islands) to Grenada (the Caribbean). A total of 14 boats are competing in three classes: IRC, Class 40 and MOCRA Multihull. The current multihull record was set by the trimaran Phaedo3 last year in a time of 5 days, 22 hours, 46 minutes and 3 seconds.